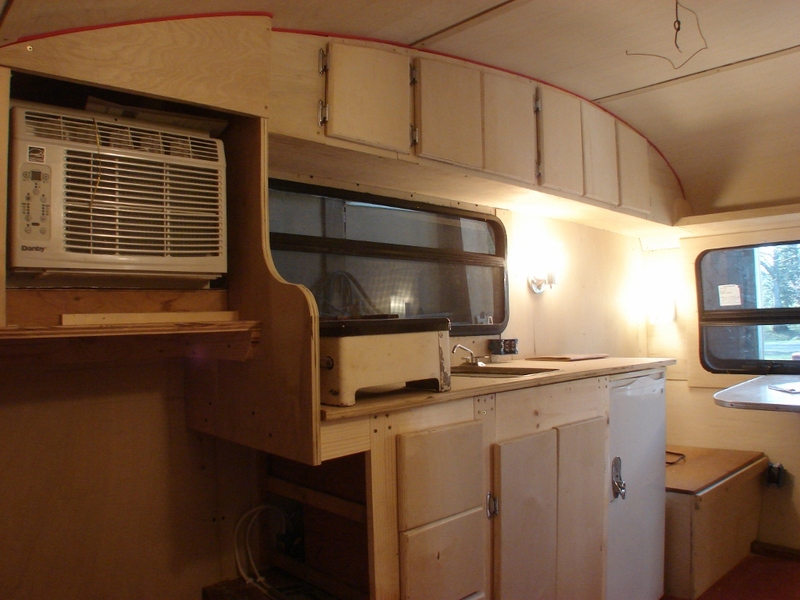 The Tini-Home wiring is DONE! Today I made a trip to Home Depot to get the correct (who knew Square D made TWO completely different, and incompatible, styles of breakers and electrical panels?) breakers for the circuit box. I also picked up the A/C vent covers from “Quality Products” in Plainwell, so I had plenty to do today. The first thing was to finish up installing all the devices in the elec. boxes. That went quickly, and I started installing (temporarily) the lighting fixtures. These will come down to varnish, but I wanted to get them all up, particularly the ones that flank the front window. These two lights are switched at the door, and I was worried I’d wired them improperly. Turns out, I had. This circuit has the lights in middle, and the switch by the door jamb is at the end of the circuit. When I ran the wiring, I didn’t give the actual wiring diagram a thought, and ran two wire. Today when I started to hook things up, it seemed to me I needed a third wire to make it work. I was getting frustrated trying to figure it out, when my Dad came down and drew a simple sketch, which made sense to my addled brain at the time, so I wired it up. 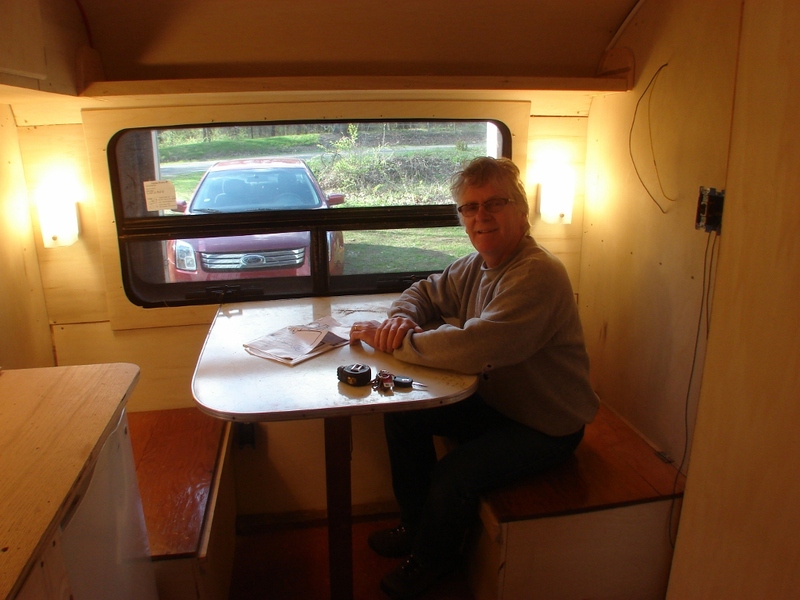 When I plugged the trailer in and started turning things on, the two front lights came on, but looked as if they were on a dimmer. They weren’t. I’d wired them in series, like an old-fashioned Christmas tree light set, and this cut the voltage by half to each light. Not good. 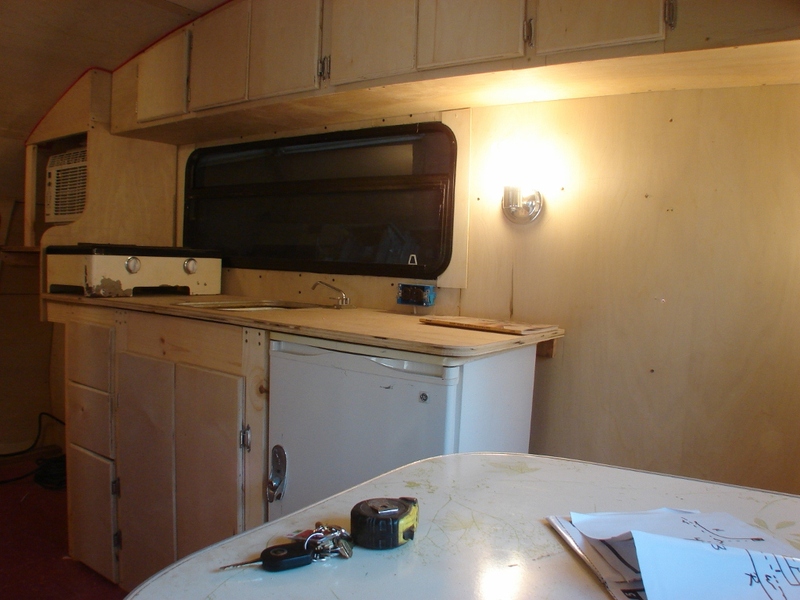 All the wiring in the trailer is sealed in the laminated walls, EXCEPT, as it happened, the wiring between these two lights. 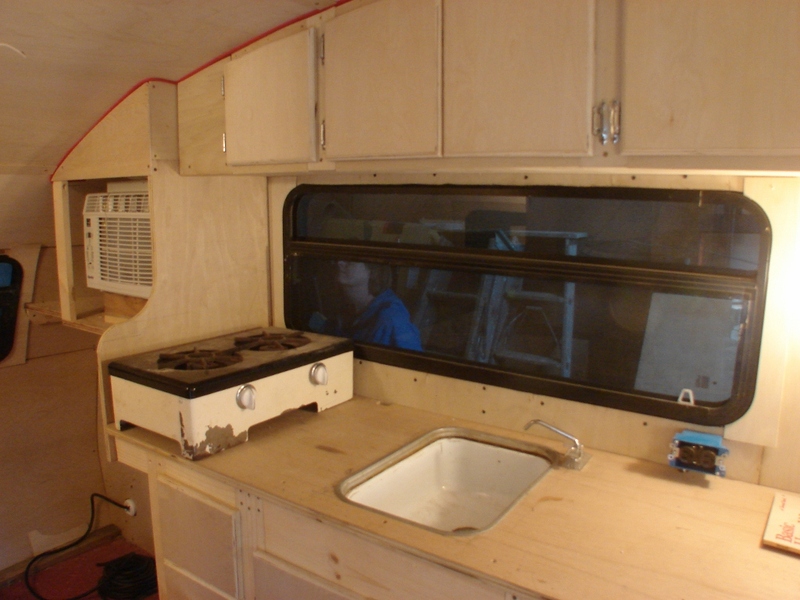 The interior looks really nice all illuminated, and the best part is, no more working in the dark with a trouble light, and I can plug the power tools in the outlets to work! No more extension cords! This was a big step, and I’m glad it’s done. 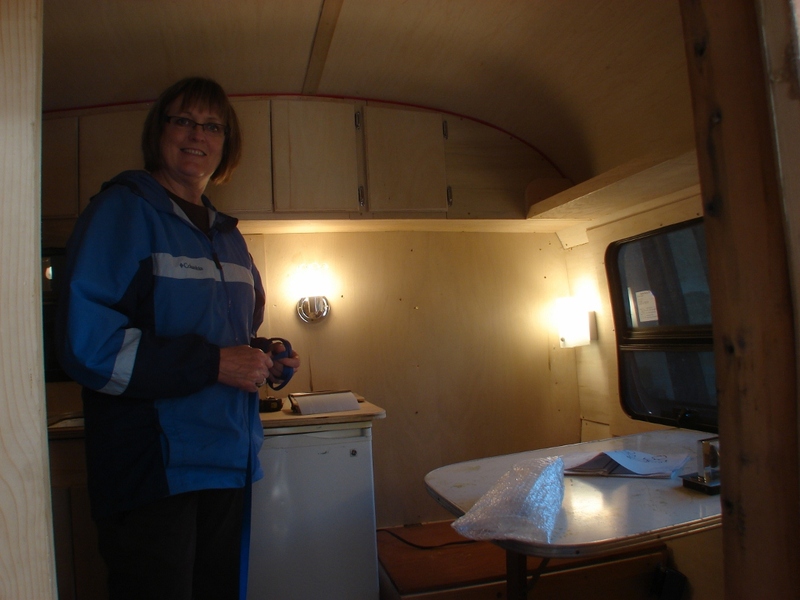 There are a handful of little trim pieces to make, the storage compartments and drawers under the bed, then it’s on to varnishing the cozy interior. So, that’s all for today. Stay tuned for more progress on the Tini-Home project here at Cool McCool’s Garage, see you next time! It is coming together, looks great!! Looks fantastic, Brian ! Very impressive build…. Can’t wait to get some color in there! You are getting this done in record time! Great job Brian!